If you follow me on Twitter or Instagram, it’s probably not much of a secret that I love to snowboard and I love the Alps. I’ve been lucky enough to be able to visit the Alps three times since I began snowboarding nearly two years ago and I’m already planning my fourth visit! 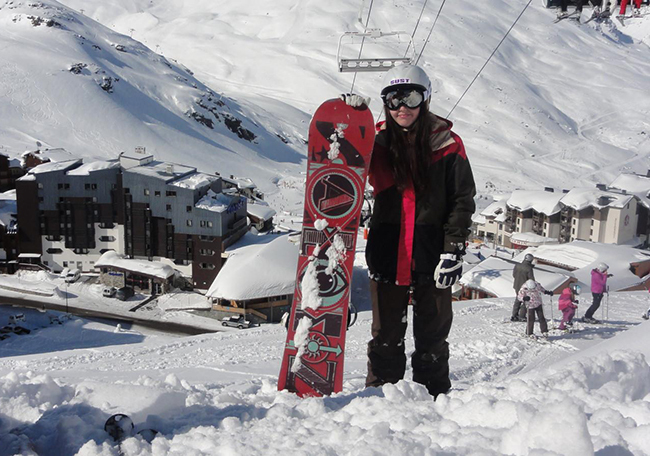 After the recent success of the Brits at the Sochi Winter Olympics, with Jenny Jones deservedly grabbing a bronze in the Womens Snowboarding Slopestyle event, everyone has been talking about snowboarding. I’ve always been that girl who loves to beat the boys at sport, with my primary school days spent saving goals on the muddy football pitch, so after learning to ski it really was only a matter of time before I fell head over heels (sometimes all too literally) for snowboarding. 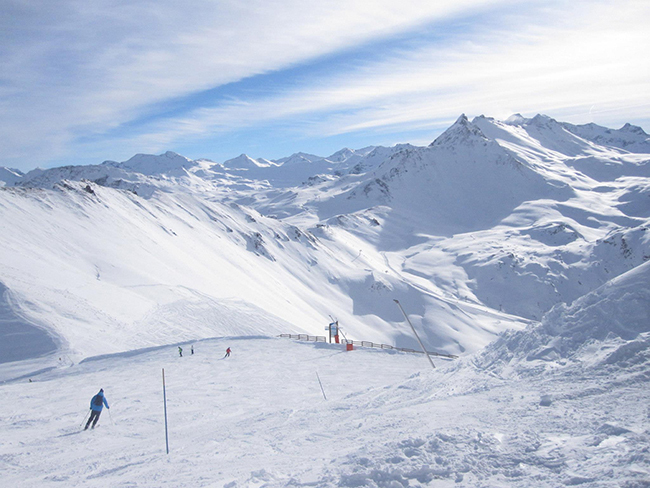 So far I’ve visited Les Arcs, Tignes, Val D’Isere, Val Thorens and Alpe D’Huez, all in the French Alps. I’m itching to try somewhere a little further afield, like Whistler in Canada or Mammoth in America, but that’s definitely going to require a bit more saving! This is a hobby that drains your bank account, that’s for sure, but when you’re sat on top of a mountain with the most amazing views, you soon forget about the month you spent eating tins of spaghetti hoops and making up elaborate excuses for not being able to go on nights out. Hopefully I’ve inspired you a little to give snowboarding a go. If I could get away with a big in-your-face gif of me snowboarding with the caption JUST BLOODY DO IT flashing in acid bright colours, I would tweet it out individually to every one of you. But that’s a bit much for a Wednesday. The way I learned was by taking lessons at Manchester’s indoor snow slope, Chill Factore. I had beginner’s lessons, which consisted of 3x 1hr50mins lessons (once a week for 3 weeks) and then an improver lesson (full day with a damn tasty pizza for lunch!). Then you won’t feel as silly when you fall on your bum about 50+ times in 2 hours! I’d recommend buying some waterproof ski pants from TK Maxx or Sports Direct, you can get some for under £40 and they’ll stop you from getting a wet bum. I usually just wear a long sleeved top & hoody over this. Don’t forget your gloves & thick socks too! 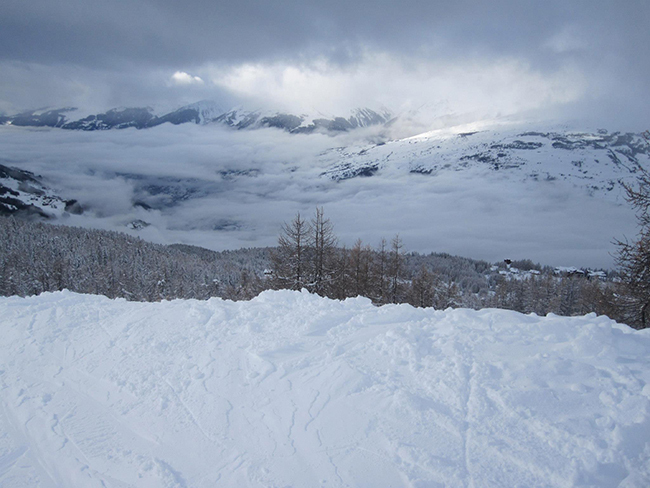 It’s much easier to learn when there’s less people on the slope, so try and book your lesson on a term-time weekday morning to make sure you get as much room to yourself as possible. Us snowboarders need all the room we can get, we fall for fun. Watch some awesome girls make snowboarding look easy and think ‘that could be me soon(ish)!’. I love Roxy’s snow feature release Wilder, watch it here and be impressed. My favourite snowboarders to watch at the moment are Aimee Fuller, Silje Norendal and Torah Bright (Google away). 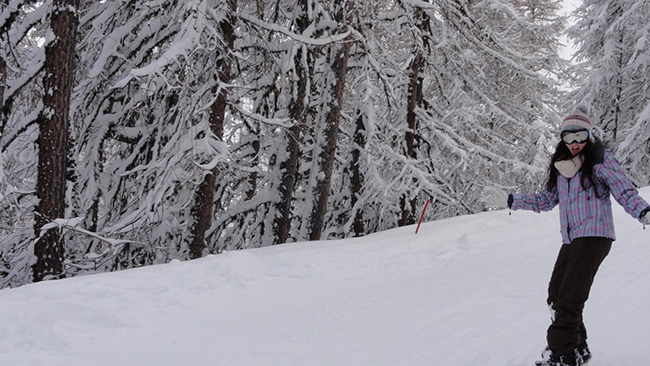 There’s no better motivation to learn and improve your snowboarding than booking a holiday. Tag along on a university trip or get a couple of mates to come with you. I’ve booked all 3 of my trips through Nuco Travel, who run my university’s holidays to the Alps. You’ll learn so much by hitting up a real mountain and it’s so much more fun. SUST Les Arcs from SUSTV on Vimeo. 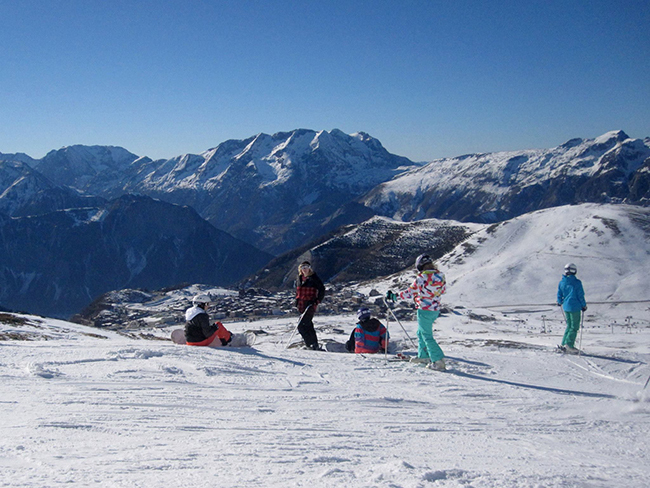 Have you ever been on a snowboarding holiday before?